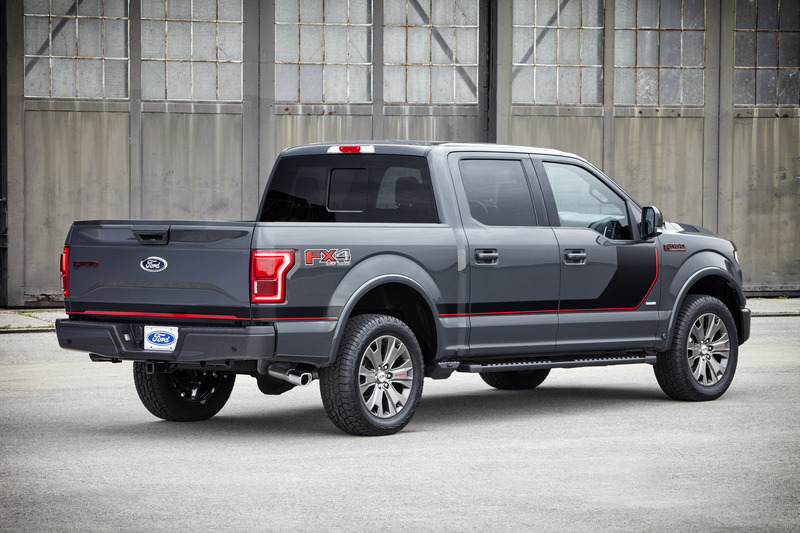 The 2016 Ford F-150, part of Ford F-Series, America's best-selling truck for 38 years, continues to innovate with the addition of breakthrough towing technology, new Special Edition Appearance Packages, SYNC 3 and alternative fuel capability. 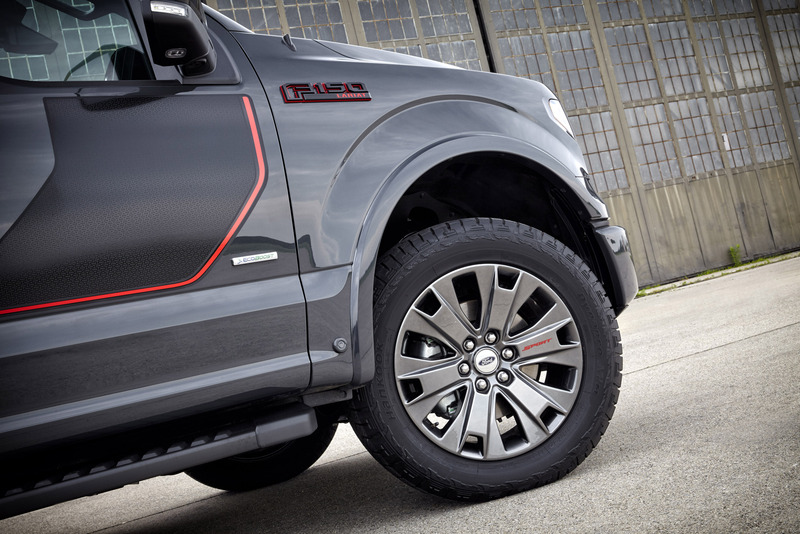 All-new Pro Trailer Backup Assist makes it easier for drivers of all skill levels to back a trailer up to launch a boat or park in a driveway. The segment-first technology allows customers to steer a trailer instinctively by turning a knob left or right to indicate direction; the truck controls its steering and limits vehicle speed. 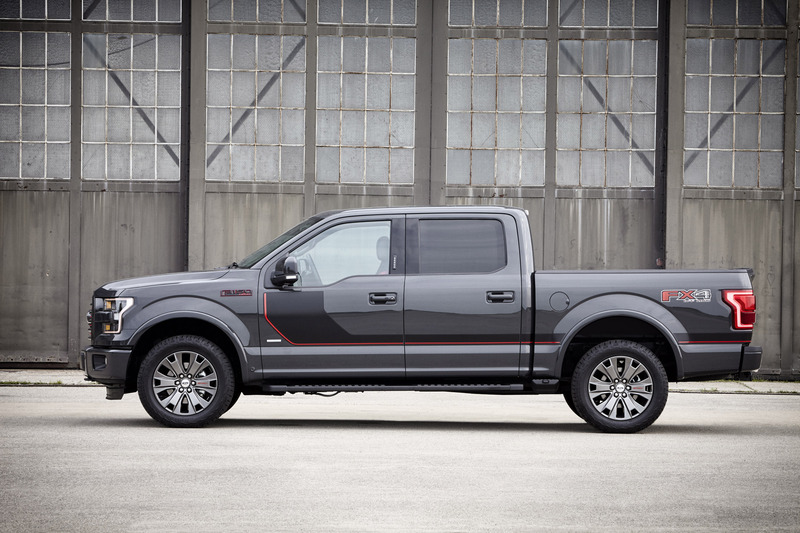 Leveraging advanced camera technology, Ford engineers developed the system and tested it for almost a decade. 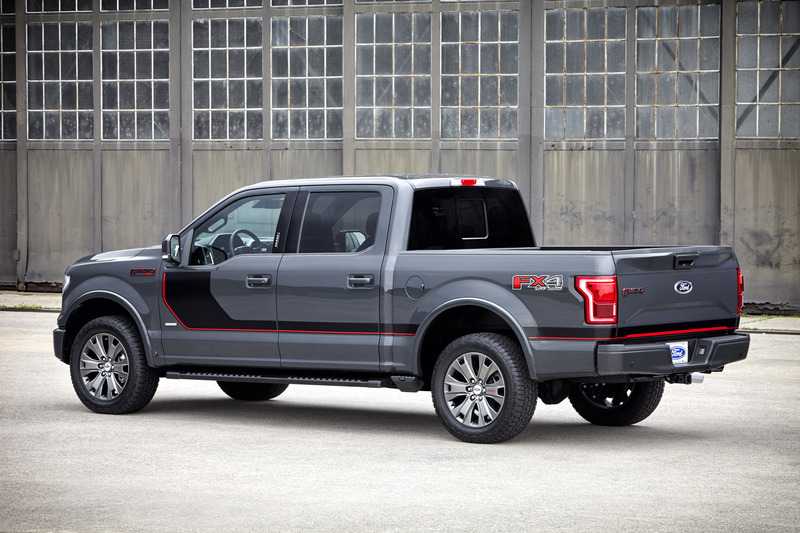 Along the way, Ford earned five patents for the technology, with 10 more pending. 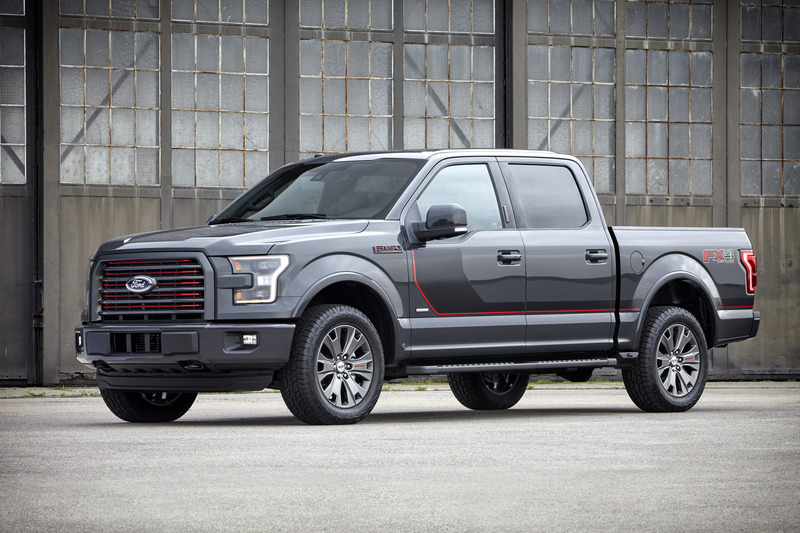 The Special Edition Packages for XLT and Lariat further personalize F-150 to customer tastes, adding all-new unique 20-inch premium anodized dark-painted aluminum wheels with red sport lettering, black running boards, smoked headlamps, unique bodyside graphics and badging, special edition seats with Alcantara® inserts, red contrast stitching and red bolsters, and unique red stitching on the steering wheel, transmission gear selector boot and instrument panel. 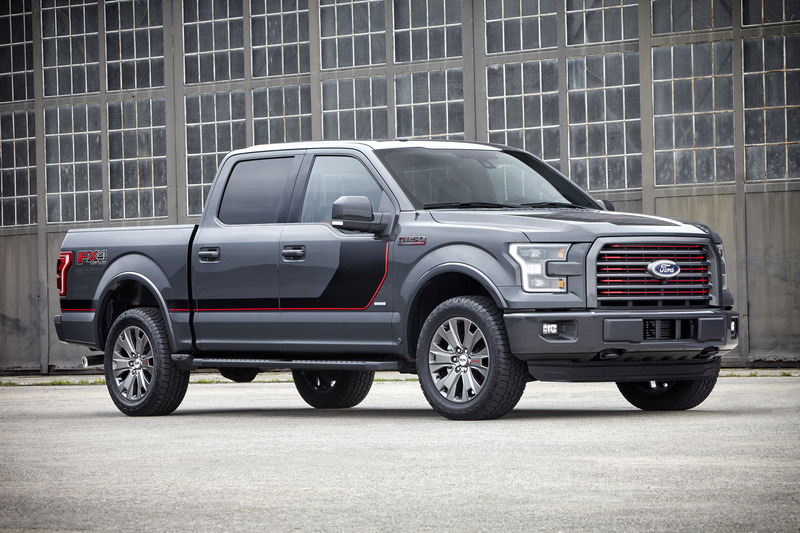 This package also features a dark anodized grille with black mesh on XLT while the Lariat dark anodized grille receives red accents. 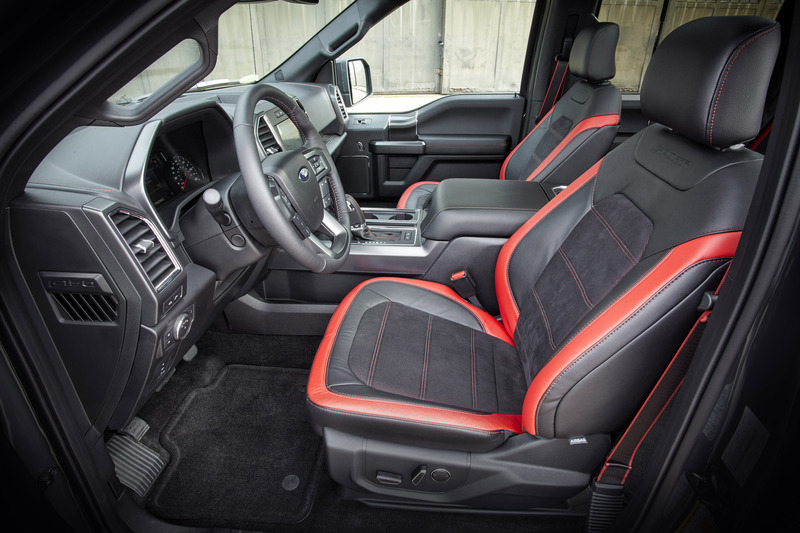 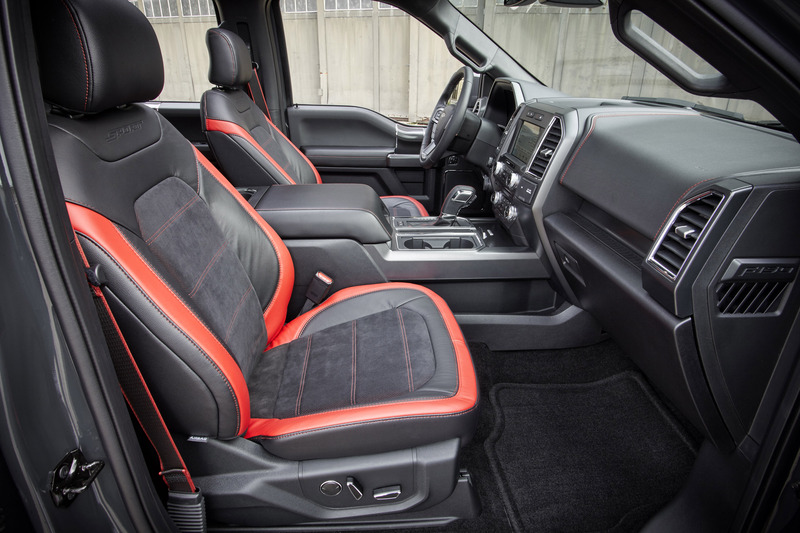 F-150 also features SYNC 3 – Ford's newest communications and entertainment system that features enhanced voice recognition, high-speed performance and capacitive touch screen and easier-to-understand graphical interface. 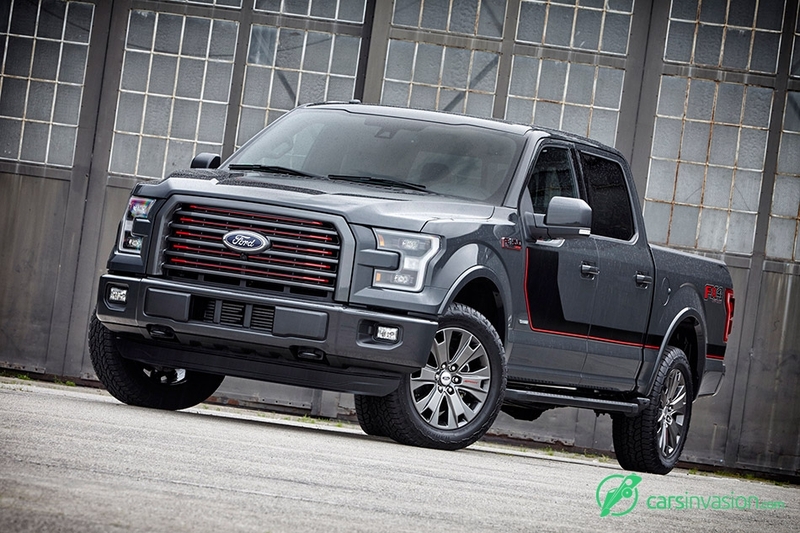 Responding to customer requests, the 2016 Ford F-150 with the 5.0-liter V8 engine will offer a gaseous-fuel prep option, making it the only light-duty pickup capable of running on compressed natural gas or propane.